Welcome to Southwestern Law School's Career Services Office (CSO). We are dedicated to the professional success of our students and alumni, and committed to helping employer-partners meet their goals. Office Hours: Monday - Friday 9:00 a.m. - 6:00 p.m.
Dean Poormosleh oversees all aspects of the Career Services Office, is responsible for outreach and relationship building with employers, active networking within the alumni and general legal community, strategic initiatives, proactive career counseling, targeted and organized placement efforts, and compliance with ABA reporting rules and standards. 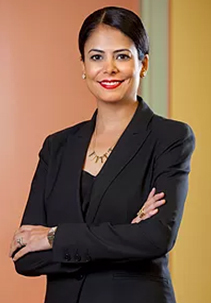 Prior to joining Southwestern, Dean Poormosleh was an attorney in the private sector for thirteen years at global and international law firms in Washington DC and Los Angeles with a focus on intellectual property law matters. Dean Poormosleh received her BA from the University of California, Los Angeles and her JD from American University Washington College of Law. She is a member of the District of Columbia and California State Bars. Ms. Tarr counsels students and alumni on career planning, job search strategies, networking, professionalism, resume and cover letter drafting, and interview preparation with a special focus on judicial clerkships. She manages Southwestern’s annual Judicial Law Clerk Panel, as well as the Judges Reception. Prior to joining the Career Services Office, Ms. Tarr taught Legal Analysis, Writing, and Skills in the SCALE, Evening, and Day programs; taught upper division legal writing courses; and co-directed the Writing Center. She received the Excellence in Teaching Award as an adjunct professor in May 2011. She was also a legal writing professor at USC Gould School of Law for two years and served as a law clerk to the Honorable Lamar W. Baker of the California Court of Appeal for the Second Appellate District. 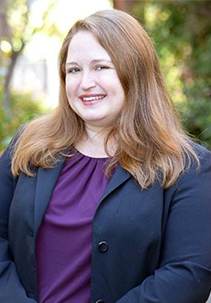 Ms. Tarr initially practiced at a boutique law firm in Pasadena that defended employment, tort, and civil right cases on the government’s behalf. Ms. Tarr received her J.D. from George Washington University and B.A. in Political Science from the University of Pennsylvania, and is an active member of the California State Bar. Ms. Evanich counsels students and alumni, regarding career planning and job search strategies. Ms. Evanich is an alum of Southwestern, having graduated in 2017. While in law school, she externed with the Children’s Law Center, Los Angeles Dependency Lawyers, and the Honorable Amy Pellman. Ms. Evanich received her BA in Theatre & Psychology from Western Illinois University. Ms. Stein advises students and alumni on all aspects of their job search preparation, including providing support as they clarify their career goals and strategize their employment searches. 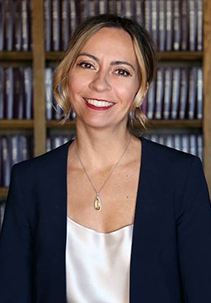 She comes to Southwestern Law School with a background in employment law, having started her career litigating discrimination claims on behalf of employees at a small Los Angeles firm. 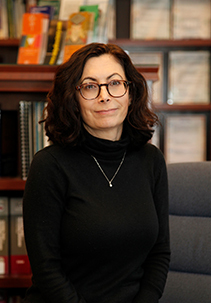 Ms. Stein continued her work in the field of employment law with a human resources consulting firm for which she has written regular employment law updates, conducted trainings on building respectful workplaces, and investigated discrimination claims in the workplace. She received her J.D. from Benjamin N. Cardozo School of Law and her B.A. from the University of California, Santa Barbara. Ms. Stein is a member of the California State Bar. 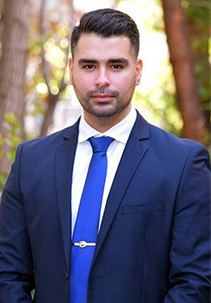 Mr. Sibrian administers and manages the recruitment programs at Southwestern Law School, including the Symplicity job board, On Campus Interview (OCI) program, the Fall Firm Reception, and the GAP Associate Program. Mr. Sibrian received his BA in Communications, with a minor in Ethnic Studies, from the University of California, San Diego. Prior to his position with Southwestern, he served at an Administration Officer at UCSD. While there, he developed the Student Veterans Organization’s peer mentor program and created a research opportunity intern/extern program for UCSD’s student veterans. Mr. Sibrian served in the United States Marine Corps for six years. Mr. Muraciov is available to assist with scheduling of appointments with counselors, manages the Symplicity job board, and handles reciprocity requests. Mr. Muraciov is a graduate of the University of Miami with a bachelor's degree in Sports Administration.